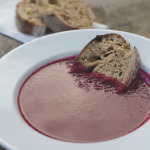 Here’s a restorative recipe taken from the Riverford Farm Cookbook. 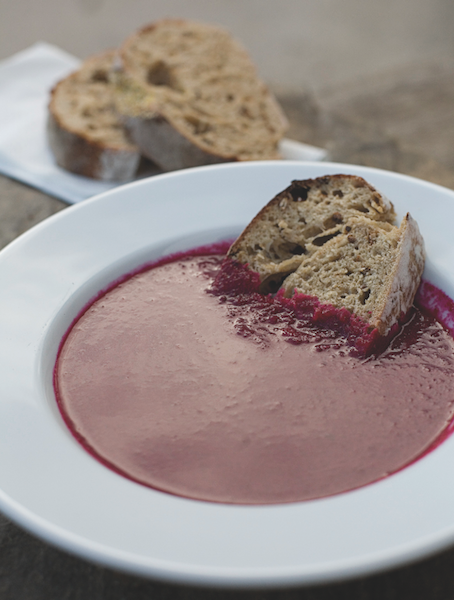 Called Beetroot Haters’ Soup, it’s guaranteed to banish devilish memories of pies, cheese, wine and beer. 1 Heat the oil in a large pan, add the onion and fry until soft but not coloured. 2 Add the potato and ginger and fry for three minutes. Add the orange zest and juice, plus the beetroot and water, then bring to the boil and simmer for 20 minutes, until the potato is tender. Blend until smooth. 3 Reheat gently and season to taste. 4 Serve garnished, if you like, with a swirl of cream or yoghurt and a little grated orange zest. To order your Riverford organic veg box (from £8.95), click here or call 0845 0786868. Organic fruit and vegetable box business Riverford was set up in 1987 in Devon. 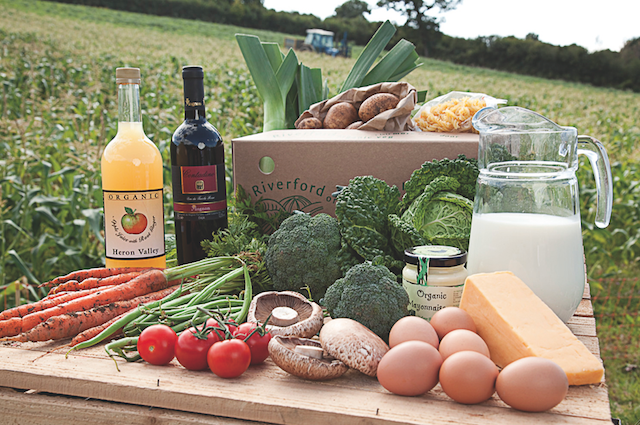 Now Riverford has a series of regional sister farms so customers can enjoy organic produce close to where it’s grown. One of these is Sacrewell Farm near Wansford, Cambridgeshire, close to the eastern edge of Rutland. The fruit and veg grown at Sacrewell is delivered throughout Leicestershire and Rutland as part of Riverford’s box scheme. Riverford grows a diverse crop range at Sacrewell, from strawberries and apples to garlic and wheat. The cereals are sold to a local organic beef farmer and in return Riverford takes his cow muck for its land. Around 40 acres of land at Sacrewell are left unproductive by Riverford – partly to support nesting lapwings and also to help regenerate indigenous limestone grassland. With a shop, a restaurant serving Sunday roasts and more, lots of activity areas to keep kids entertained and a full diary of events, including regular wood-carving courses, Sacrewell Farm is well worth a visit.